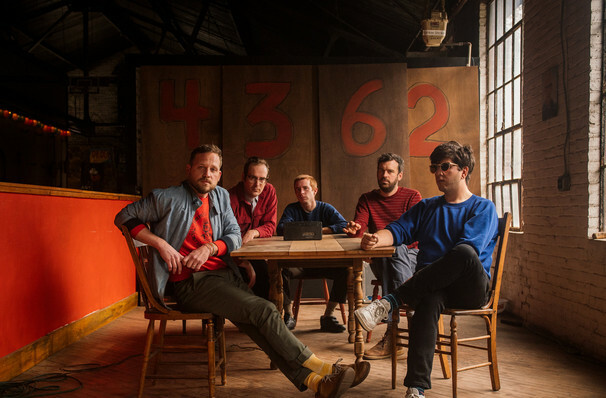 Philadelphia outfit Dr. Dog bucks current trends and creates expertly-crafted melodic indie inspired by the lo-fi recording techniques and sunshine haze of 60s psych-pop. The group returns after a two year break from touring with the 2018 release of 10th studio album Critical Equation, heading out on a mammoth 42-date trek this Summer! If newly released singles Listening In and Go Out Fighting are anything to go by, the album finds the band honing their craft, going straight for the jugular with soaring melodies, soulful guitar licks and hypnotic drums. Their swaying psychedelic grooves give way to sing-along rock-out anthems that regularly have audiences in rapture. Its no wonder the band have cultivated a reputation for an impressive live show. Sound good to you? 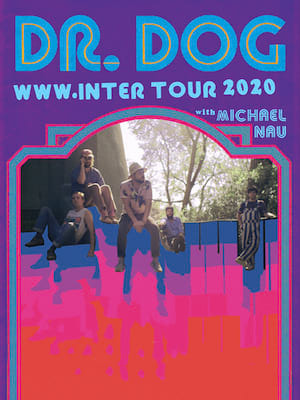 Share this page on social media and let your friends know about Dr. Dog at Vinyl Music Hall. Please note: The term Vinyl Music Hall and/or Dr. Dog as well as all associated graphics, logos, and/or other trademarks, tradenames or copyrights are the property of the Vinyl Music Hall and/or Dr. Dog and are used herein for factual descriptive purposes only. We are in no way associated with or authorized by the Vinyl Music Hall and/or Dr. Dog and neither that entity nor any of its affiliates have licensed or endorsed us to sell tickets, goods and or services in conjunction with their events.